Games will be played from 10 a.m. on today in the main gym, with the 7th place and 5th place games first and the girls' championship at 7 p.m. and the boys' championship at 8:30 p.m.
Forestview will take on East Gaston in the boys' championship while Myers Park will face Hickory Ridge in the girls' championship game. Here are the results from the first day of Fifth Third Bank Holiday Classic, hosted by East Lincoln High School. The Observer released their picks for All-Observer, all-Mecklenburg and all-region boys' soccer teams today. North Mecklenburg coach Paul Kikta was All-Mecklenburg coach of the year and two of his senior players, Will Krentz and Spencer Jackson were named to the All-Mecklenburg second team. Junior Marcus Lohrmann of Lake Norman was named to the All-Region second team. Matt Sarett from Cannon School made the All-Observer team. Cornelius' William A. Hough High School, which will open in the fall of 2010, has selected its mascot and colors after allowing the public to vote on the school's Web site. They will be known as the Huskies and will wear black, silver and white. Other nominees for mascots were Wolves and Hornets. "Attributes of a Husky: Strong, compact, hard-working and team-oriented. "Temperament: Loving, gentle, playful, happy-go-lucky, keen, social, rather casual, high energy and very intelligent." Future Hough High students who are interested in serving on the student committee to choose the school logo, motto and crest should e-mail Terry Barbee at t.barbee@cms.k12.nc.us. Include your name and e-mail address and/or phone number. Wachovia Bank, a Wells Fargo company, along with the North Carolina High School Athletic Association, today announced the standings for fall sports in the Wachovia Cup competitions for the 2009-10 academic year. The Wachovia Cup award, sponsored by Wachovia and the NCHSAA, recognizes the high schools that achieve the best overall interscholastic athletic performance within each of the state’s four competitive classifications. Wachovia has sponsored the conference awards program since 1980. Here are how Lake Norman area teams are doing in their conferences. Southern Piedmont 1A/2A conference standings: East Lincoln 72, North Lincoln 62, Lincolnton 54, West Lincoln 42, Highland 35, Cherryville 16, Bessemer City 10, Challenger 8. I-Meck 4A conference standings: Lake Norman 33.5, Mallard Creek 29.5, North Mecklenburg 29, Mooresville 27, Hopewell 23, Vance 14, West Charlotte 12. See the standings for all the state's conferences at the Prep Insiders blog. 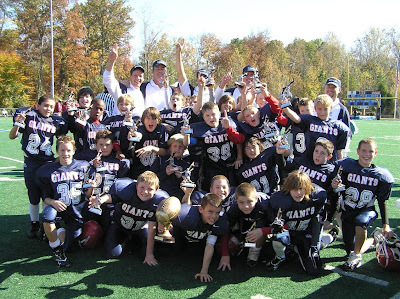 The Towns of Cornelius and Huntersville will host their fifth spring season of youth lacrosse. Registration for the 2010 spring season opens Monday, Jan. 4 and will close on Tuesday, Jan. 26. The program is open to boys and girls in kindergarten through 8th grade, with divisions determined by gender and age. Program registration will be accepted at Cornelius Town Hall or online at www.corneliuspr.org. Divisions will be formed for grades K-1st coed, Boys U-15, Boys U- 13, Boys U-11, Boys U-9, Girls Middle School, and Girls Youth. The resident fee is $60 for the Instructional Division (K-1st) and $70 for non-residents. The resident fee for all remaining divisions is $100 and $110 for non-residents. Financial assistance is available on a limited basis. Practices will start the week of Feb. 15 and games will begin in March, with weeknight practices and weekend games being held at locations in Cornelius and Huntersville. All participants will receive a jersey and a trophy at the end of the season. Additional equipment will be required. A copy of the participant's birth certificate is required at time of registration. Volunteer coaches are needed for the spring lacrosse program. For more information, please contact the Cornelius PARC Department at 704-892-6031 ext. 160. Information about other recreational and athletic programs is available online at www.corneliuspr.org and www.huntersville.org. If you like good high school basketball, you should be in for a thrill these next two weeks. Cannon has a big game against Oak Ridge Military Academy tomorrow night. The Cougars (4-4) have struggled some early this season, but still have two of the best players in the area in Jarell Eddie and Keith Belfield. I-Meck conference play finally gets started this week which means there are some high-profile match-ups coming up. But before conference play, the No. 1 (Observer Sweet 16) Hopewell boys' team and No. 9 Concord have a non-conference game Wednesday night. Then on Friday No. 8 West Charlotte visits the Titans for both team's first conference game. Then Hopewell's next game is against No. 4 Lake Norman on Dec. 17, the last game before winter break. North Mecklenburg boys' dive into conference play this week also with a game Friday against Lake Norman and next Tuesday visit West Charlotte. North Mecklenburg doesn't quite have the talent they did last year, but have been impressive so far this season in staying undefeated in non-conference play. East Lincoln boys' take an undefeated team to play No. 10 Cherryville on Friday. The girls' games will be great, too, with No. 12 Hopewell and No. 13 Lake Norman meeting next week. Expect a lot of excitement with high school basketball leading up to the holiday tournaments. North Mecklenburg finished their season with a win over cross-town rival Hopewell 1-0. Patrick Harrow scored the lone goal and Peter Rhines and Jaron Bradley teamed up for the shut out. North Meck came back from an 0-2 start in the conference to win the I-Meck crown. Hopewell and North Mecklenburg both advanced to the third round of the NCHSAA volleyball tournament with wins against Lake Norman and Mallard Creek respectively. The wins set up the interesting possibility of yet another rivalry match between the two teams in the fourth round of the tournament on Saturday. Cannon School won 4-3 over North Raleigh Christian in the NCISAA 3A boys soccer tournament. The Cannon volleyball team fell short in the NCISAA tournament against Wesleyan Christian, losing in three straight. North Mecklenburg junior Katie Kirk finished fourth in the individual standings of the NCHSAA 4A women's golf state championship. Kirk shot a 1-under 72 on Monday and a 4-over 77 on Tuesday at Foxfire Golf and Country Club. Katherine Perry from Athens Drive in Raleigh won the tournament (73, 71), while Allison Emrey of Ardrey Kell and Sarah Bae of Athens Drive tied for second. Athens Drive (incidentally, coached by my step-father, Tony Alcon) won their second straight team championship by nine strokes after trailing Ardrey Kell by eight strokes after the first day. Mattie Toby of East Lincoln tied for third in the NCHSAA 1A/2A/3A tournament. The team finished in sixth. North Mecklenburg plays Mallard Creek and Hopewell takes on Lake Norman in the second round of the NCHSAA 4A state volleyball playoffs tonight. East Lincoln volleyball is in the second round of the 2A tournament, where they will take on Piedmont. Southlake Christian faces Calvary Baptist in the NCISAA 2A volleyball championships and Cannon School takes on Wesleyan in the 3A championships tonight. In the NCISAA 3A boys soccer tournament, Cannon plays North Raleigh Christian. The North Mecklenburg Vikings clinched the I-Meck championship last night with at 1-0 win over the Mooresville Blue Devils. The Vikings (14-4-2, 9-2) started out 0-2 in the conference, but are now on an eight game win streak. The lone goal was scored by Jordan Marcom, with an assist from Spencer Jackson. North Meck finishes their season Wednesday at rival Hopewell, while the Blue Devils (13-5-1, 7-4) face Lake Norman at home Wednesday. The first round of the NCHSAA volleyball 4A state tournament was Saturday. Both North Mecklenburg and Hopewell dominated their first round matches and move on to the second round Tuesday. North Mecklenburg beat Butler 25-24, 25-20 and 25-16 with Ali Cooke leading the team with 11 kills and 14 digs. The Vikings will face another fellow I-Meck school Mallard Creek in the second round. North Meck beat Mallard Creek in three games in both of their previous matches this season. Hopewell dominated Sun Valley in three games, 25-12, 25-9 and 25-6. They will also face a I-Meck conference foe, Lake Norman, in the second round. Hopewell won both preseason matches against Lake Norman.